Description: A Mixed Fraction is a whole number and a proper fraction combined. ... We can use either an improper fraction or a mixed fraction to show the same amount. 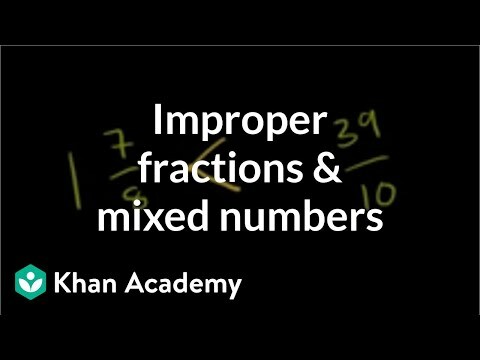 Description: May 11, 2012 ... Improper fractions to mixed numbers, step by step, example. For all free math videos visit http://Mathmeeting.com. Description: Improper Fraction to Mixed Number, Mixed Number to Improper Fraction. Type your fraction here, then click "Convert it" below to convert it into a mixed number.